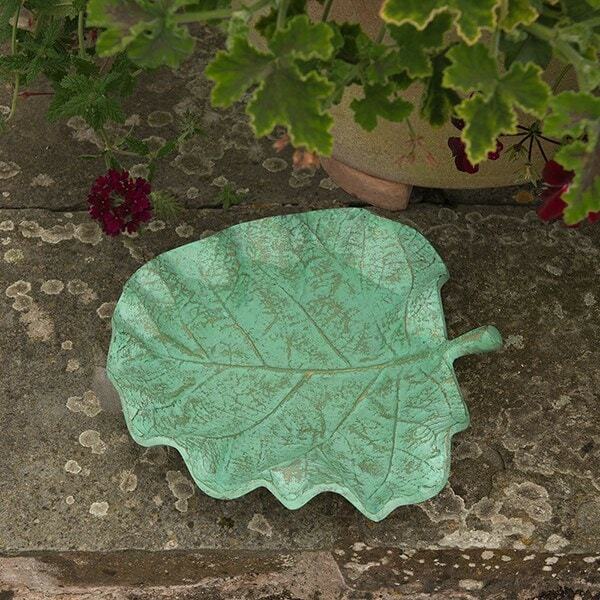 Create a garden oasis for our feathered friends with this antique-style leaf bird bath. 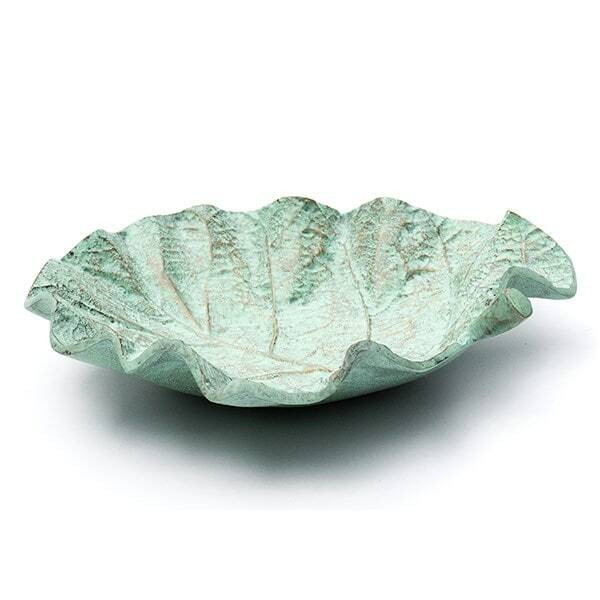 Made from strong cast aluminium with an attractive verdigris patina, the bath is sealed with a clear lacquer for extra protection against rust. 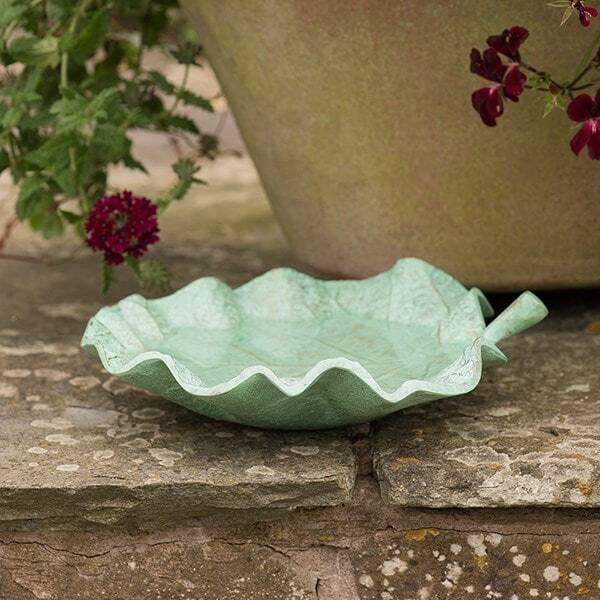 Sit it on a table, wall or step in view of a window and watch as birds flock to the garden to drink and bathe. 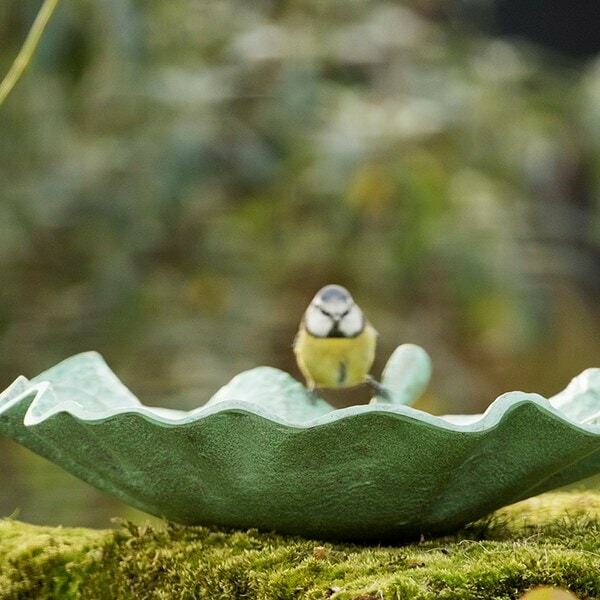 The generous size bath will accommodate several birds at a time. Can also be used for tasty titbits in the colder months.